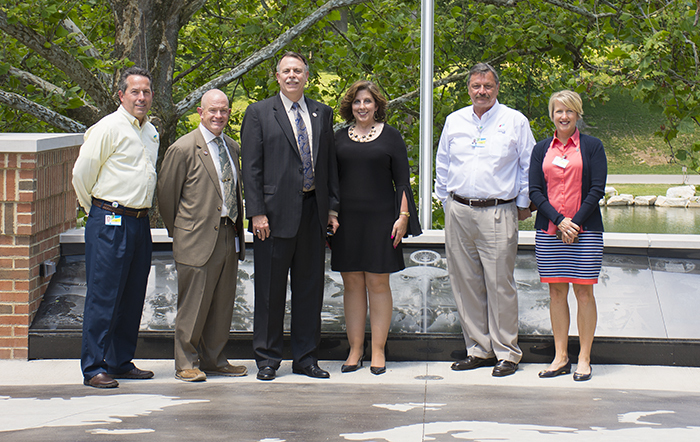 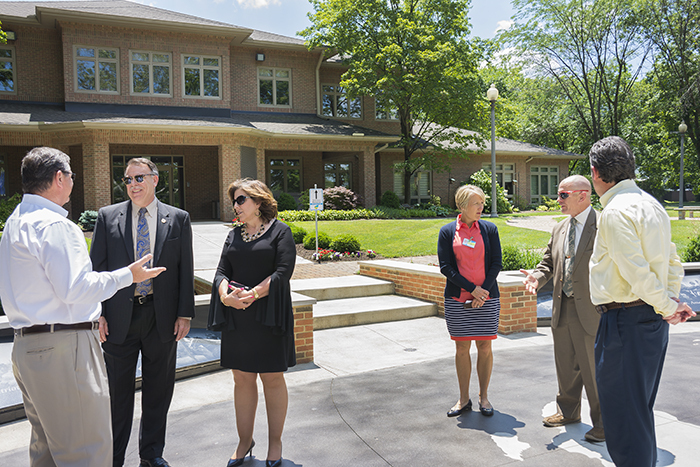 Representatives of Governor John Kasich’s office recently visited the American Pride Veteran Memorial at Ohio’s Hospice of Dayton. 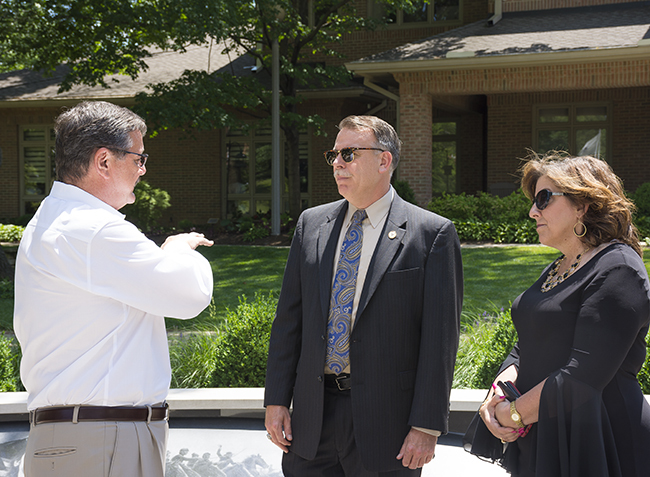 Sandra Brasington, Western Ohio Regional Liaison to Governor Kasich, was joined by Chip Tansill, Director, Ohio Department of Veterans Services and Daniel Semsel, Regional Veteran Workforce Consultant, in a tour of the Memorial and discussion of American Pride services for Veterans at Ohio’s Hospice organizations. 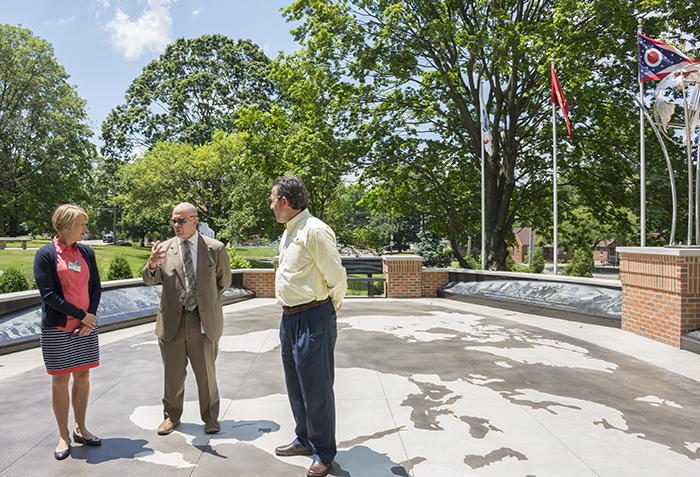 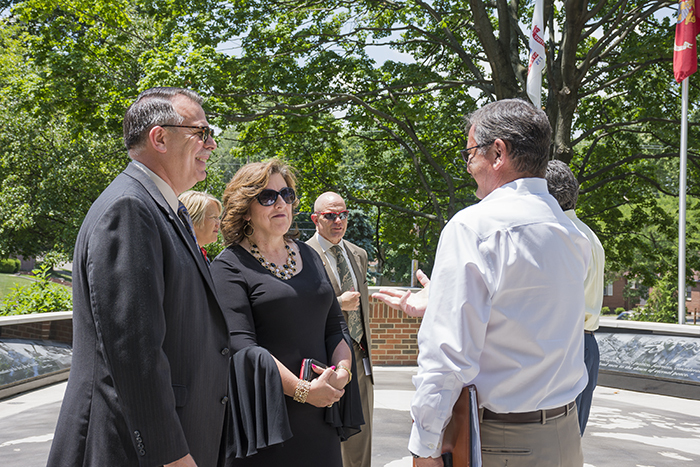 This marked the first official visit by state officials to the Memorial. 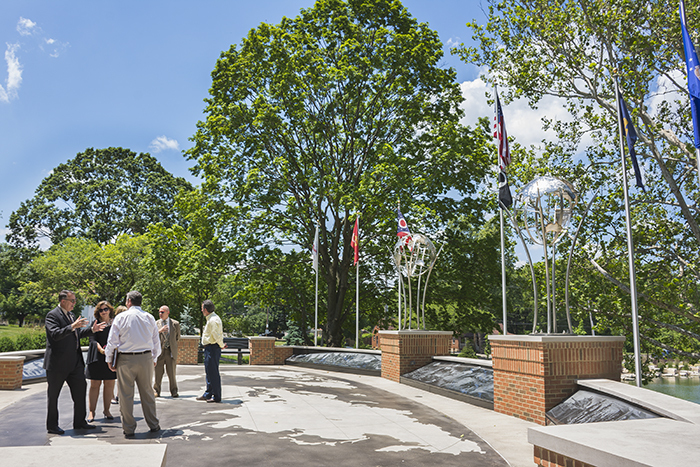 The American Pride Memorial is a moving commemoration that includes illustrated panels dedicated to American military campaigns ranging from the Revolutionary War to the War Against Terror. 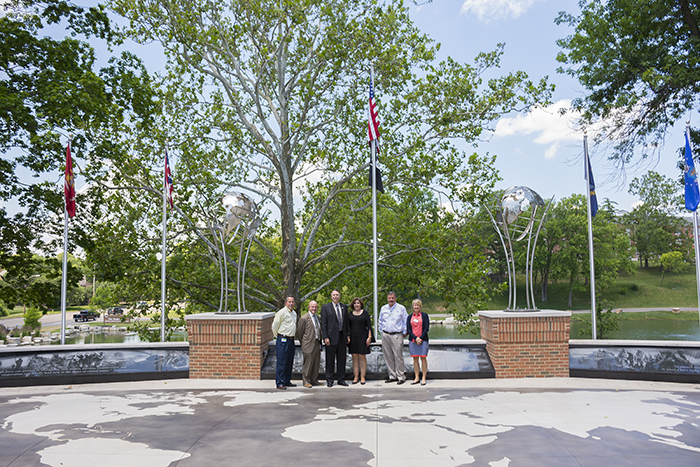 Each branch of the service is represented with a flag, and the American flag flies proudly at the center of the display. 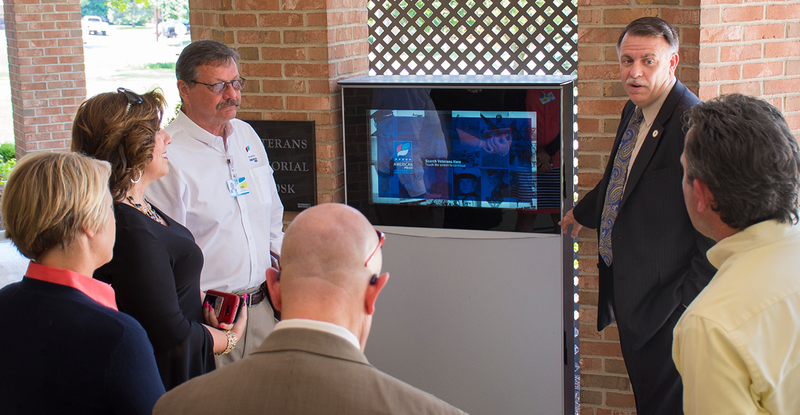 The memorial also includes a computer kiosk that features pictures and stories about veterans. 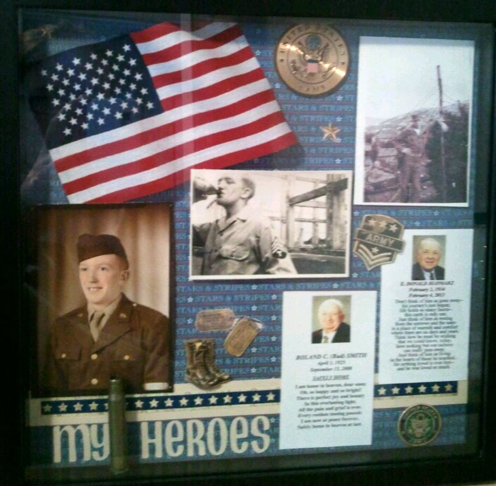 By visiting www.ohioshospice.org/american-pride, community members can enter their own stories or stories about loved ones, and upload photos of Veterans, honoring their lives and service. 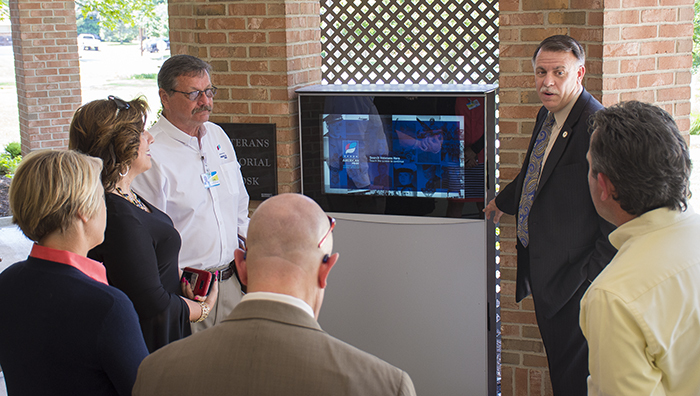 All stories submitted will be accessible online and on display at the American Pride Veteran Memorial. 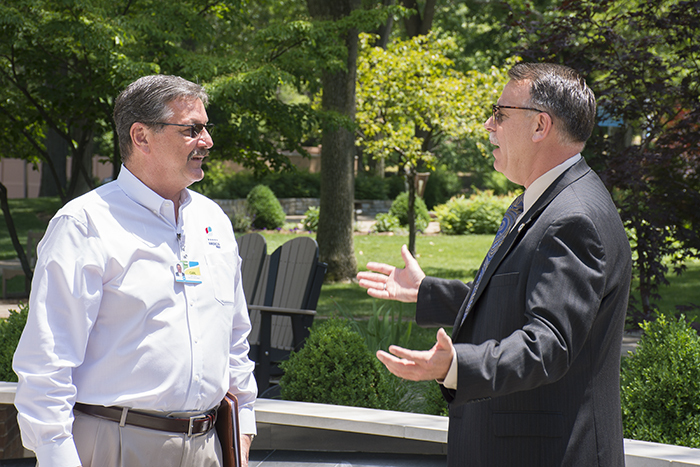 The stories are searchable by name. 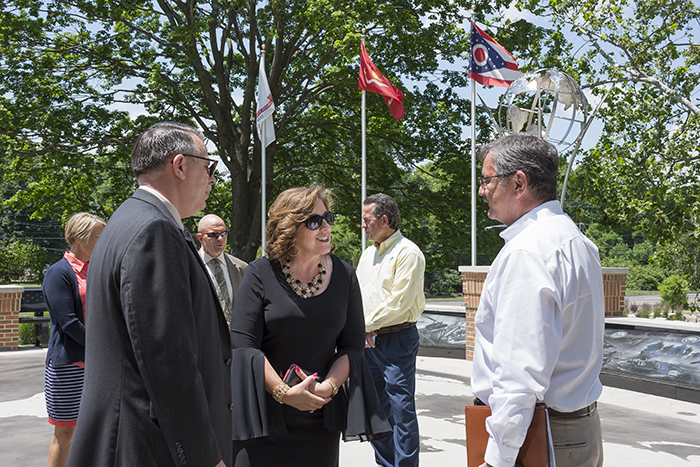 Any Veteran from the Greater Dayton area is eligible to be included.